The 2015 Honda NSX is creating something of a buzz with buyers - so much so that its maker has opened a pre-order bank. For a deposit of £5000, potential owners can be among the first in the UK to get behind the wheel of the brand new NSX when it goes on sale. The NSX Concept was unveiled at the Detroit Motor Show in 2012, offering buyers of the now classic original the chance to replace their old car - and hopefully the new one will be just as groundbreaking. It certainly lokos the part, and features a low and wide stance exciting detailing. The interior package boasts outstanding visibility, a strong driving position, and 'Simple Sports Interface' that minimises interior clutter, allowing the driver to focus on the driving experience. Hopefully that means it will be just as simple to drive as the original; who's appeal lay in the fact you could just straight out of a Civic and not feel alienated when you got behind the wheel of the range-topping supercar. 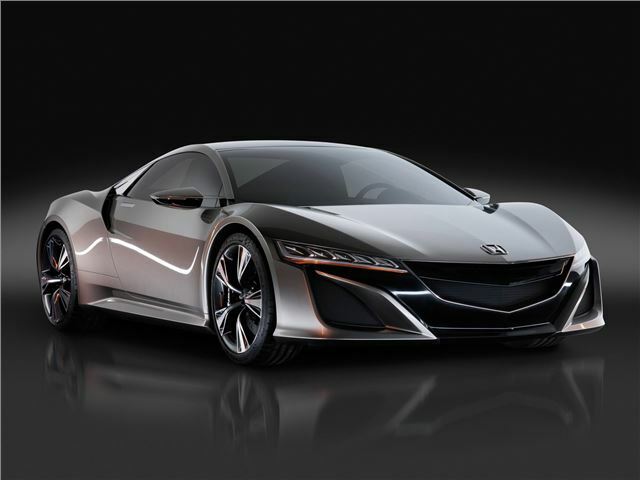 The 2015 NSX will be powered by a mid-mounted, direct-injected V6 engine mated to Honda’s Sport Hybrid SH-AWD (Super Handling All-Wheel Drive) system. It will also boast a new hybrid all-wheel-drive system can instantly moderate torque levels to the front wheels during cornering to infinitely tweak handling on the fly. The news of a pre-order bank follows in the footsteps of the previous NSX which saw 25 pre-orders being taken a year ahead of its UK launch. The first generation NSX was launched in 1990 and spent 15 years in production selling 18,000 units globally with 290 being sold to customers in the UK. The new NSX is being developed by a global R&D team led by designers and engineers in Los Angeles and Raymond, Ohio. It wiill also be manufactured at a new production facility in central Ohio.